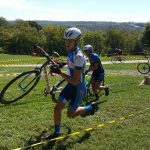 Cross season is almost here and the Kansas season opener, Prologue Cyclocross, is coming up in just over a month. The race also serves as the series opener for the KCA KBCXR/KBCXT Series. 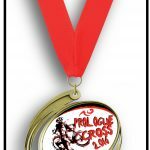 Racers can earn points towards the series at both days of the Prologue Cross event. Registration for both days of the event is now open. 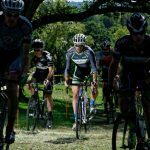 With Jingle Cross moving up to the last weekend of September, Prologue Cross is one of the few races in the region that will give riders an opportunity to tune-up for the World Cup event in Iowa. 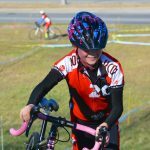 Riders looking improve their cyclocross ranking to earn a higher starting position at Jingle Cross should look to compete in both days of the Prologue Cross event. Registration is now open. Riders will be called up and staged in order of online registration; those looking for a good starting position need to register early. Riders who register onsite will be lined up behind all pre-registered riders. The sooner you register, the better your start position. 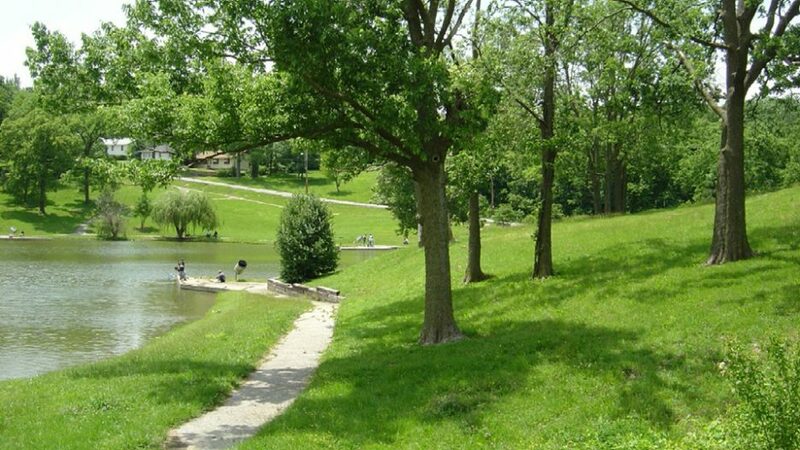 The course, in Blue Valley Park, will challenge riders with a variety of terrain and course features. We tried to design a course that will provide opportunities for riders of all types to ride to their strengths. Fast open stretches for the power crowd, a fair amount of technical sections to work on – or show off- the handling skills, off-camber riding, barriers, some steep pitches that are rideable but require the right gear choice and a good line to stay on the bike, and some unique features to add some fun elements into the race. 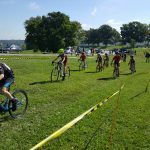 Overall, it is a fast course with fast grass and some sections to really pick up some speed but riders will be challenged in sections as well. The venue offers great spectating. The large main shelter sits at the highest point in the park and overlooks the entire course. 95% of the course can be viewed from the shelter. Restrooms and water are available at the shelter and there is plenty of room around the area to set-up team tents. Kids can come out and enjoy the playground near the shelter house. Fall brings with it cooler temperatures and the hint of the upcoming winter months. We are lucky that we all have warm homes to head back to after a cold winter cross race; many in Kansas City are not so lucky. We are partnering with Project Warmth, a local organization that collects warm outerwear and blankets for those in the area that are in need. 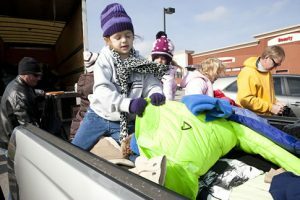 Project warmth focuses on blankets and coats but also accepts winter hats, gloves, and scarves. There is a special need for items sized toddler through pre-teen. Donated items can be gently used or new. We will be collecting items on both days of the event. We ask that all participants bring at least one item per day of racing to donate. We encourage everyone to bring even more items if they can. If you have several items to donate, simply place them in a large plastic trash bag for drop-off. 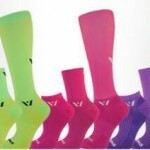 We would like to show them the generosity that the cycling community has become so well known for. So ask friends and family if they have any items they would like to donate, hit up some garage sales, or dig through your closets for items you can part with. We appreciate any and all donations that you can manage. Cash donations are also being collected. Project Warmth utilizes monetary donations to help people who are struggling with their heating bills to make sure their heat stays on during the cold, Kansas City winters. For convenience, we have added donation options as part of the race registration process through USAC. You can also bring monetary donations with you onsite. Please consider donating at least $5 when you register. If everyone pitches in, it will add up quick for the KC community.